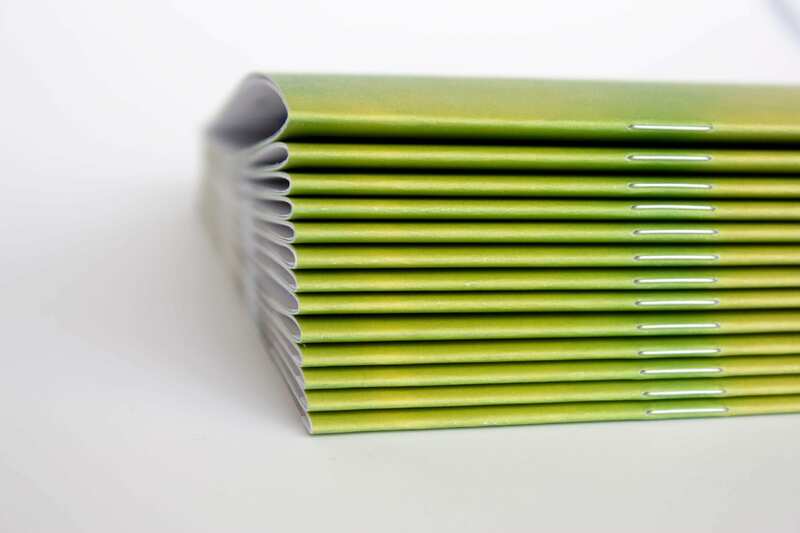 In the binding and finishing process, Saddle Stitch Binding is done by placing staples into the centerfold of a group of signatures. 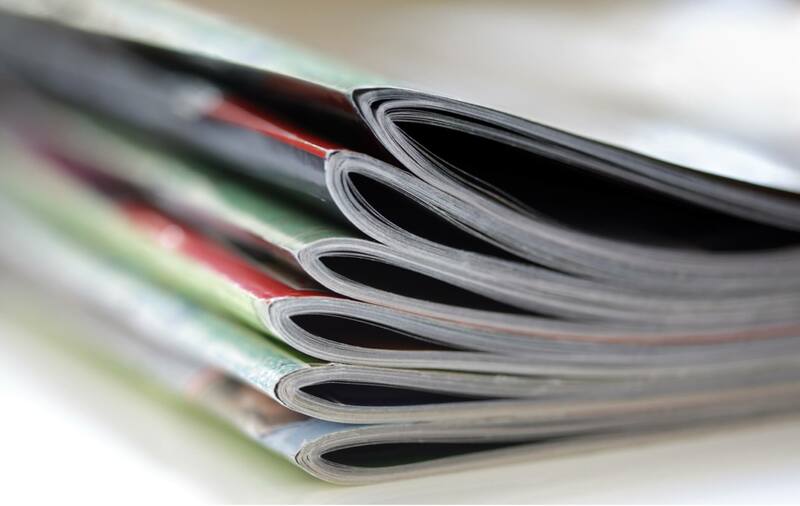 Most magazines and booklets tend to be bound using saddle-stitching. 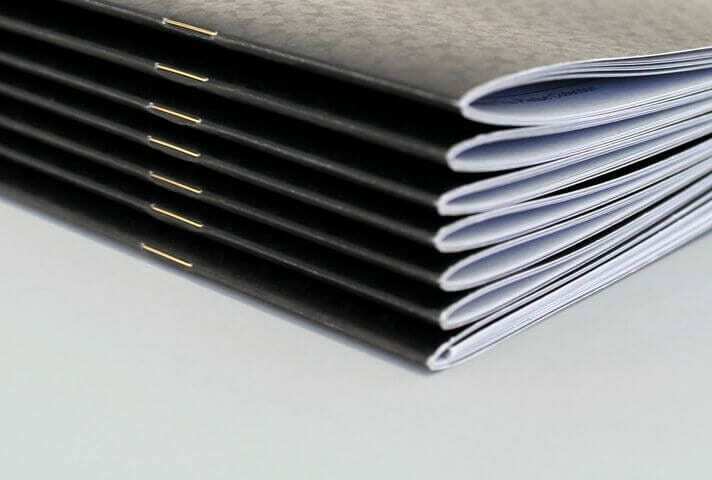 In many cases, perfect binding has replaced saddle-stitching, but saddle-stitching is still one of the more effective and economical methods of book binding. Two primary considerations must be made during the saddle-stitched prepress phase. The first consideration is for creep because signatures intended to be saddle-stitched must to be inserted within one another. In this case, the cumulative thickness of a publication can cause the inner signature edges to protrude outside the edges of the outer signatures. Trimming, ultimately, will make all the edges even, but the result will be gradually thinner margins on the inner pages. The prepress process called shingling, which is a slight staggering of the page locations is done to eliminate the side effects of creep. The inserting process involves printed and folded signatures being dropped into pockets on the device used for gathering. This device will carry the signatures to what is known as a saddle bar where the stitching occurs. This inserter will transfer the innermost signature in the document to the saddle bar, and here grippers and vacuum nozzles open it. It is common for additional pockets to drop secondary signatures in successive order over the first signature. Other inserts can be added to the pockets. Additionally, compressed air to force printed cards between pages is applied to add blow-in cards. Once a publication has been assembled onto the saddle bar, it will be carried to the stitching heads. Electronic detectors are often utilized to discvoer any print copies deviating from the proper thickness required and these anomalies are discarded. The stitcher head feeds continuous wire rolls that will be cut to the appropriate size and formed into staples. Once the publication is properly positioned, the stitching head will drive staples down into the spine fold. Tools underneath the publication will bend the legs of the staples; securing the pages together. Post-stitching, the bound units are closed and then squeezed tightly shut; forcing out any excess air and thereby reinforcing the fold. The units then are transferred over to an area with a three-knife trimmer. 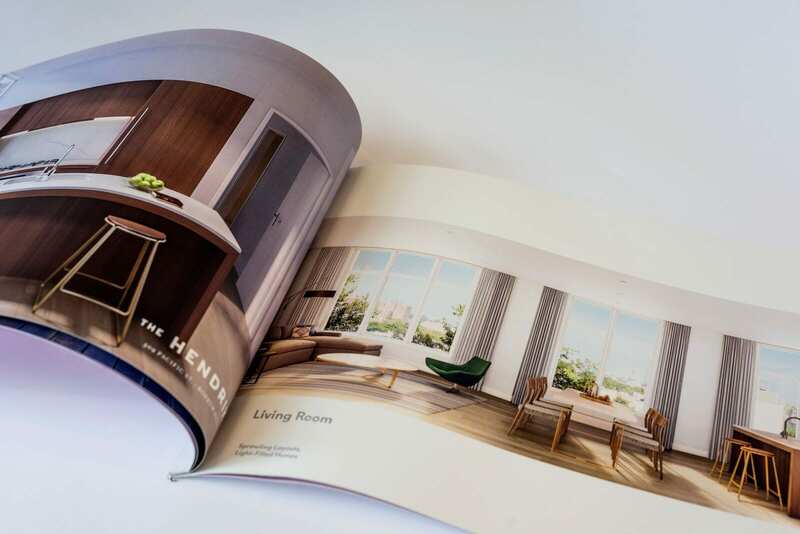 The unbound sides and any overlap of the publication are then trimmed to size.